Everyone Else Is Selling Stocks, So Is It Time To Buy? After a difficult few trading days in the beginning of the year, U.S. stocks are bouncing back with meaningful gains on Monday following Friday’s strong rally. The S&P 500, Dow Jones Industrial Average and Nasdaq 100 were all up by more than half a percent by midday. It looks like investors could be taking advantage of the end-of-the-year declines, but is this a wise time to be buying? Trying to time the bottom of the market will almost always be a fool’s errand, but one firm suggests equities could have much farther to fall before they hit bottom in 2019. 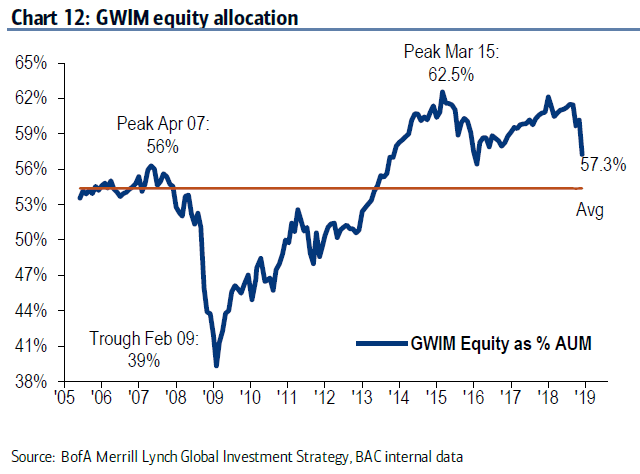 In their "Flow Show" report last week, Bank of America Merrill Lynch Chief Investment Strategist Michael Hartnett and team suggested that it is time to buy, but stocks probably aren't yet at the "Big Low of '19." They calculated flows for each major asset. The U.S. dollar was up 4.4%, while cash was up 1.9%. Bonds were down 1.2%, equities fell 8.7% and commodities declined 13.1%. They also said 2018 was the first year cash has outperformed both bonds and stocks since 2000. With a dramatic flourish, they described the stock market in 2018 as "Apocalypse Dow" filled with "horror" since the "Big Top of Jan' 18." All that drama seems warranted since the global equity market has shed $19.9 trillion in market capitalization from peak to trough. They also said 2,055 of the 2,767 U.S. and global companies were officially in a bear market, and the world's banks were pricing similar to the low levels observed in 2008. With all those declines, the BofAML Bull & Bear Indicator fell to 1.8, which Hartnett and team describe as an "extreme bear" reading. They also said their indicator has now triggered the first buy signal for risk assets since June 2016 when Brexit was hanging over the world's markets. Exactly one year ago, their Bull & Bear Indicator triggered a sell signal, they added. 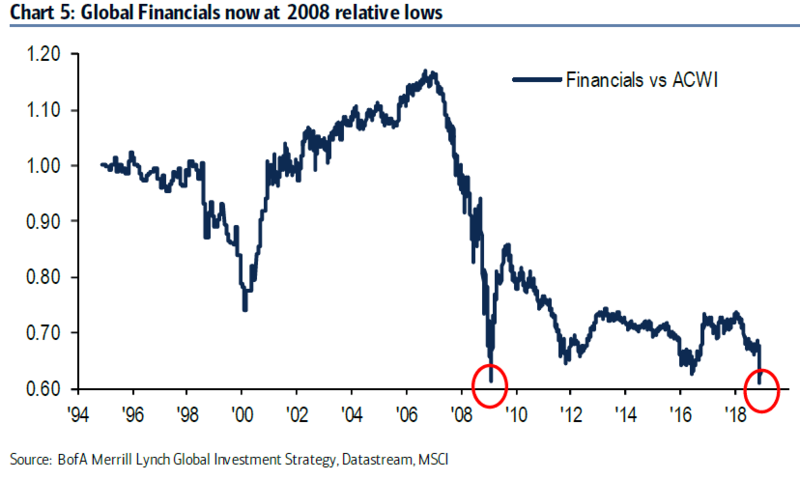 But not the "Big Low of '19"
Even though the BofAML team says a buy signal has been triggered, they do believe stocks have further to fall before they reach the "Big Low of '19." In fact, they think the building blocks of this low point they're predicting are now falling into place. They believe two things still have yet to fall into place. 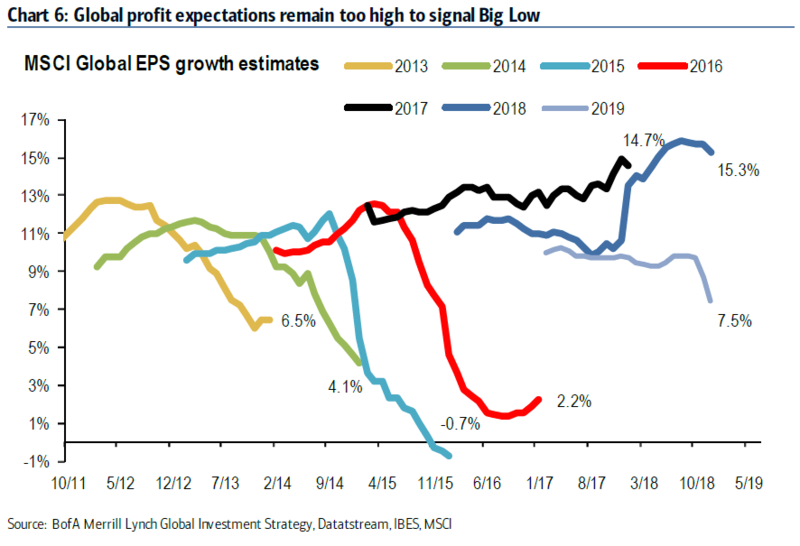 The first is a trough for profit expectations, which they believe remain too high for stocks to be at their bottom. 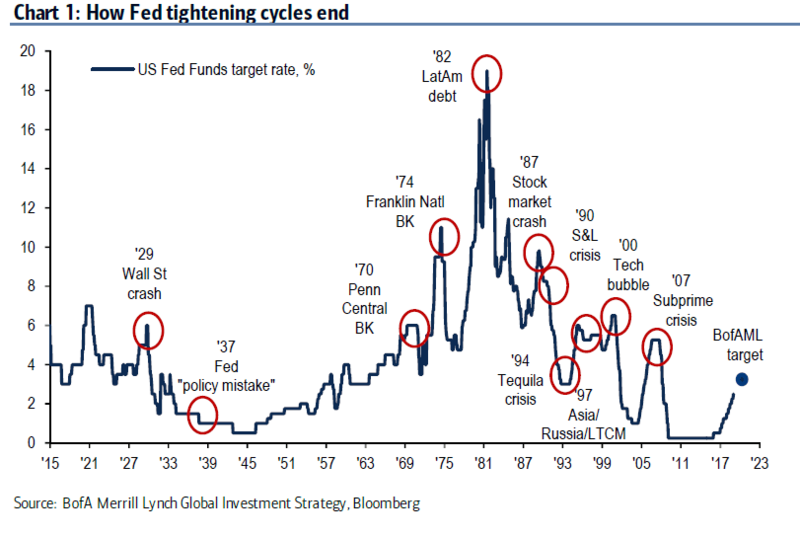 The second is policy panic, which could take the form of the Fed slashing rates to prevent a credit event. 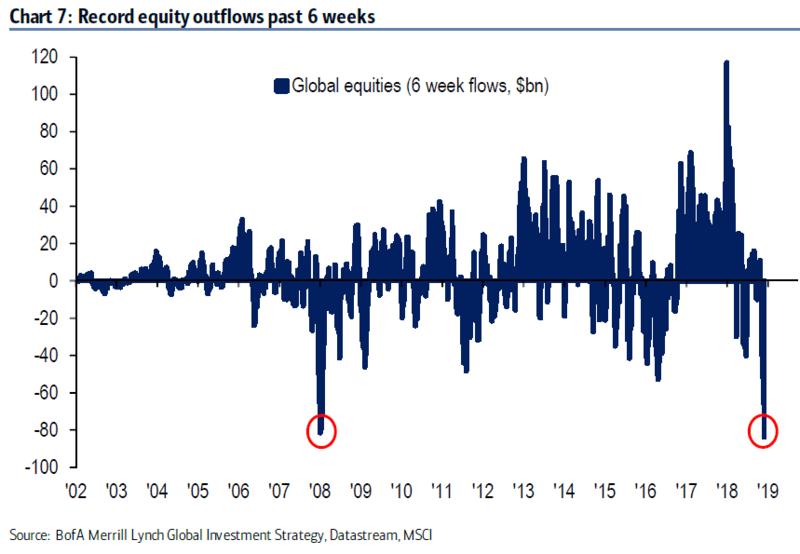 The BofAML team also said equities set new records for outflows over the last six weeks, reaching $84 billion. Other sources have said they don't believe U.S. stocks have reached full capitulation yet. Outflows in investment-grade bonds also set a new record at $34 billion. Meanwhile investors were shifted to less-risky assets, especially government bonds. Inflows to government bonds reached a record high of $24 billion over the last six weeks. BofAML also observed inflows of $1.8 billion into gold, $12.7 billion out of bonds, and $30.2 billion out of equities over the previous two weeks. They also noted strong capitulation among their firm's wealth management clients. Asset allocations to equities fell to 57.3%, which was the lowest level since February 2016. Cash allocations were at 12.1%, which was the highest level since March 2016, and debt allocation stood at 24.5%. The BofAML team predicted that the S&P will bounce from 2,450 on Jan. 4 to 2,650. As of midday on Monday, the index is already halfway there at around 2,550. By the end of the year, Bloomberg sees the S&P at 2,975. This month they see the most upside in Chinese and German equities, U.S. small caps, semiconductors, energy stocks, U.S. and Euro high-yield bonds and emerging market currencies. They describe all of these assets as "very oversold." On the other hand, they expect Treasuries, the yen, and healthcare and utility stocks to underperform this month. They also pointed out that the Utility index's 52-week outperformance of the S&P was close to the extremes it touched in 2001 and 2008.